Red gurnard caught surfcasting at Nape Nape Beach. 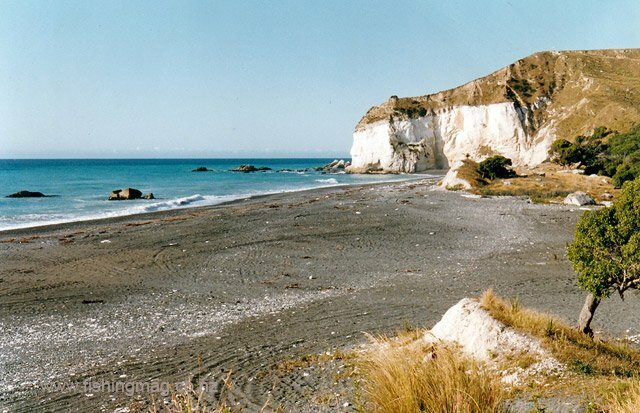 Nape Nape Beach surfcasting location in North Canterbury. From Christchurch to Nape Nape by car is a distance of 110 km, and will take almost two hours. If heading to Nape Nape from Christchurch drive north past Motunau for a further 9 km, then turn right at Stonyhurst Road. Continue down Stonyhurst Road to Blythe Road. Follow Blythe Road, then turn into Napenape Road, and continue on until you reach the sea. The distance from the State High Way One and Stonyhurst turn-off, to the beach is about 21 km and will take around 40 minutes. As you near the coast the road becomes shingle only. If coming from the north turn left at Domett, and drive down Hurunui Mouth Road. Turn right down Blythe Road and continue along it until you reach Nape Nape Road. 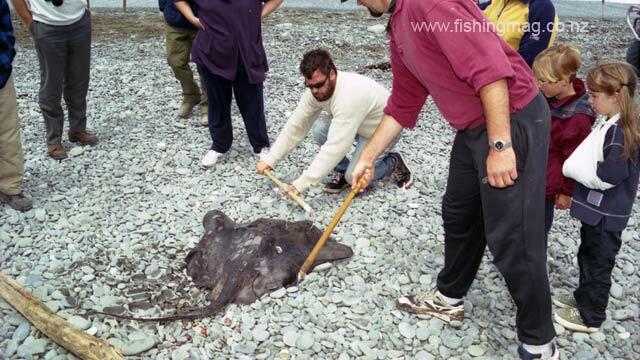 Looking at a sting ray caught at Nape Nape Beach during surfcasting contest. 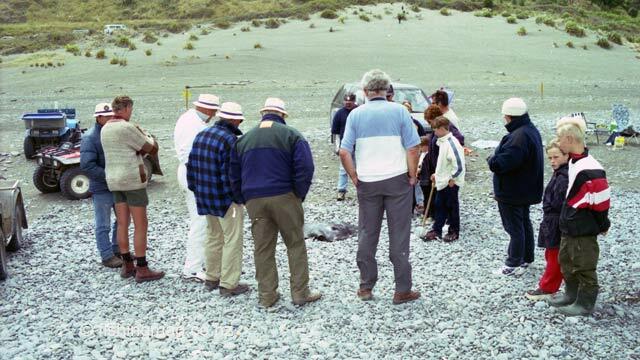 A crowd gathers around a stingray caught at Nape Nape beach during a surfcasting contest. Surfcasters on Nape Nape Beach. The Hurunui River mouth is in the distance. Beach shelters used by surfcasters on Nape Nape Beach. Casting out. 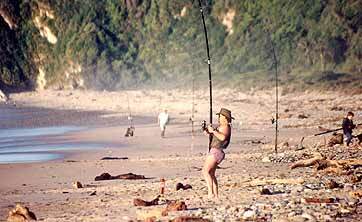 Surfcasting at Nape Nape Beach. Surfcasters at Nape Nape Beach. View looking south. Unfortunately the camping ground has been closed due to a large slip up the hill above the camping ground. The slip is quite noticeable when view from the sea but is now difficult to spot from the beach. 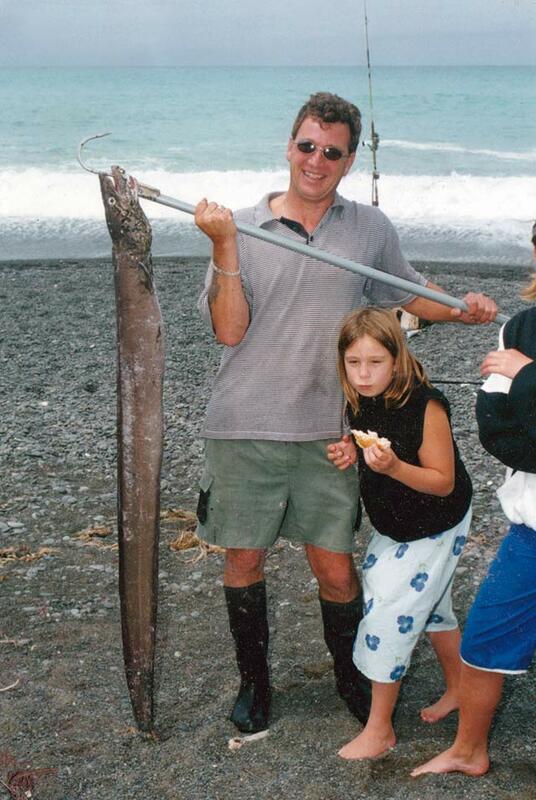 Conger eel on the line at North Canterbury’s Nape Nape Beach. Conger eel landed following on from the picture above. There are a lot of congers in the reef not far from the beach. 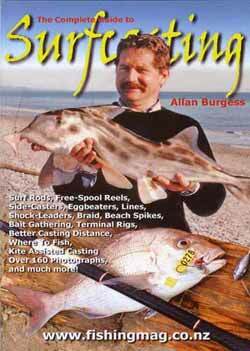 There was, up until a few years ago, an annual surfcasting contest held at Nape Nape Beach in January run by the Cheviot Lions. This contest was held every year for some twenty odd years. In the earlier years the contest would be won by contestants catching sevengill sharks, but in later years skate, rays and conger eels were the more likely winners. One year a mate of mine caught a very large sevengiller from the beach but was surprised to discover he had only places second. I came third one year with a big red cod. I remember my oldest son going into the surf in his dive gear at the southern end of the beach in front of the old DoC camping ground and returning a short time later with a massive crayfish. On another occasion I was kite fishing from this beach and managed to loose a kite after the line became caught on the sunken reef which runs along the coast. The fishing is not spectacular most of the time but improves considerably when a school of kahawai comes right in close to the beach. There are also a lot of conger eels in the reef off the beach. 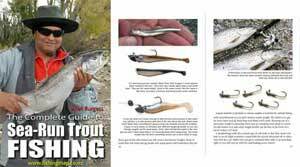 You are less likely to become snagged if you fish more towards the Blythe River Valley end of the beach. If you have a quad bike it is less than 2 km to the mouth of the Hurunui River from Napenape Road were it meets the sea. 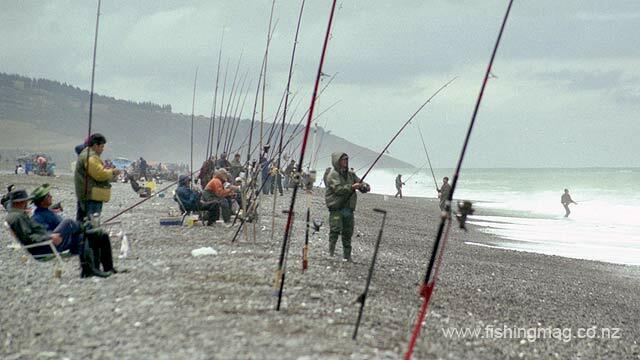 The Hurunui River mouth often produces good salmon fishing over summer. 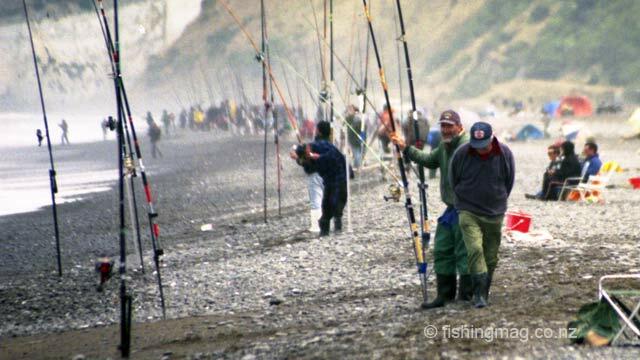 It is easier to access the Hurunui River mouth on the south side, for salmon fishing, from Napenape Road if you have a four-wheel-drive vehicle or quad bike. 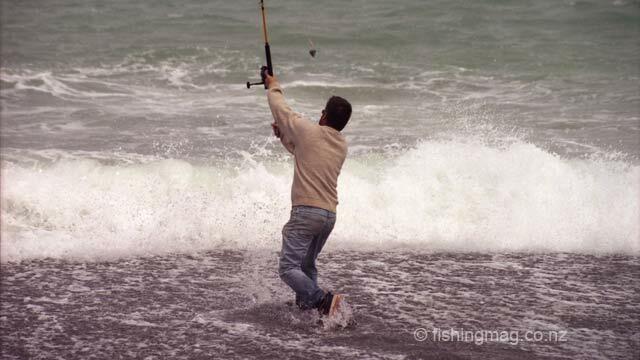 Otherwise you have to somehow cross the Hurunui River and lagoon to fish the surf for salmon from the shingle spit. 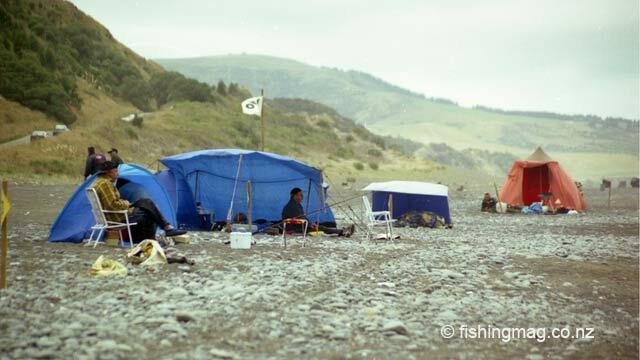 In past years I have been very successful fishing the Hurunui River mouth and lagoon always travelling along the beach by quad bike from Nape Nape. Hurunui River salmon fishing. On several occasions I have been successful fishing for blue cod about two or three kilometres off the coast directly in site of Nape Nape Beach. There is a lot of foul ground along this stretch of coastline. 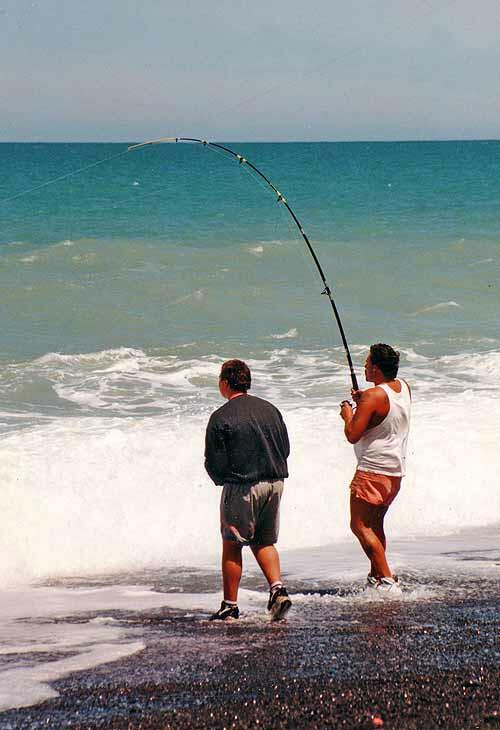 When Nape Nape Beach surfcasting it is possible to catch blue moki when using shellfish and crustaceans for bait. You need mussels, tuatua, crabs or even crayfish for bait to effectively target moki. 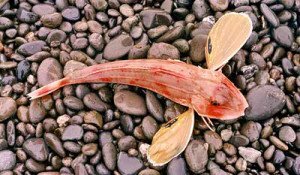 Red cod, red gurnard, elephant fish, kahawai, skate, and sharks can also be expected. Bluffs, Nape Nape Beach at the south end in front of the old camping ground. Conger eel from Nape Nape Beach – Nape Nape Beach Surfcasting. 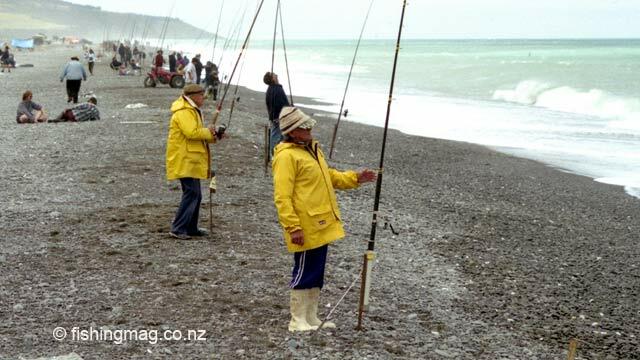 Surfcasting at Nape Nape Beach during the South Island Surfcasting Championship.